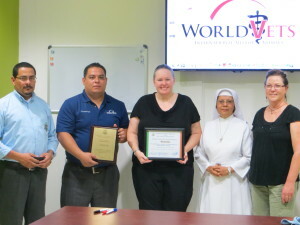 World Vets was recently presented with an award from La Universidad Catolica del Tropico Seco de Esteli (UCATSE), in association with their Agricultural Science Department, in Nicaragua. This award was given in recognition of the invaluable support that we have provided to their students in helping to shape their future as veterinarians. 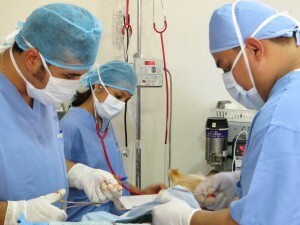 Since the grand opening of our Latin American Training Center in 2011, numerous veterinarians from many different Latin American countries have received quality surgical training at no cost. We have not only had Nicaraguan veterinarians and veterinary students, but participants from Mexico, Guatemala and Peru. See our facebook page here for updates and photos of our most recent training sessions.